Travelling to the Seychelles just got easier. This week, British Airways’ first direct flight touched down at Mahé International Airport from Heathrow Terminal 5 on Sunday 25 March 2018. Back by popular demand after 14 years, the non-stop British Airways flights will be operating year-round, twice a week, departing London on Wednesdays and Saturdays and returning on Thursdays and Sundays, on the airline’s newest aircraft to the fleet, the Boeing 787-9 Dreamliner. 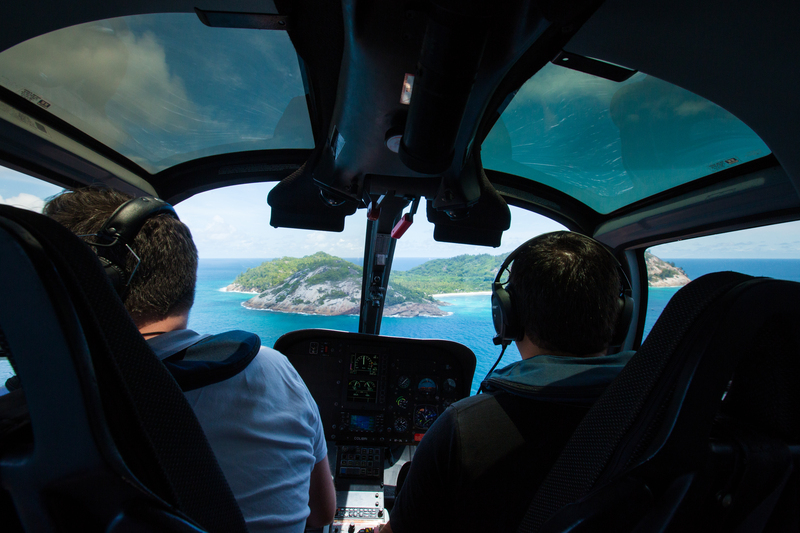 Just a short hop across to North Island, a beautiful 15-20min scenic helicopter flight, will leave you feeling a million miles away.